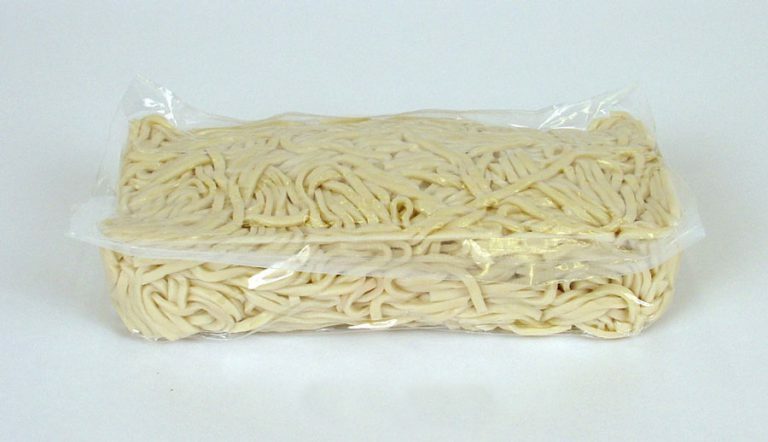 Precooked for your convenience, these thick Udon-style noodles are perfect for stirfrying. Blanch in boiling water and drain – a perfect foundation for any Asian dish. Add some vegetables or protein along with your favourite sauce… the combinations are endless! Enriched wheat flour, water, pasteurized egg white (triethyl citrate), salt, wheat gluten, canola oil, potassium carbonate, sodium carbonate, corn starch, potassium sorbate.